A set of ten cool and stylish Halloween cartoons with attitude. 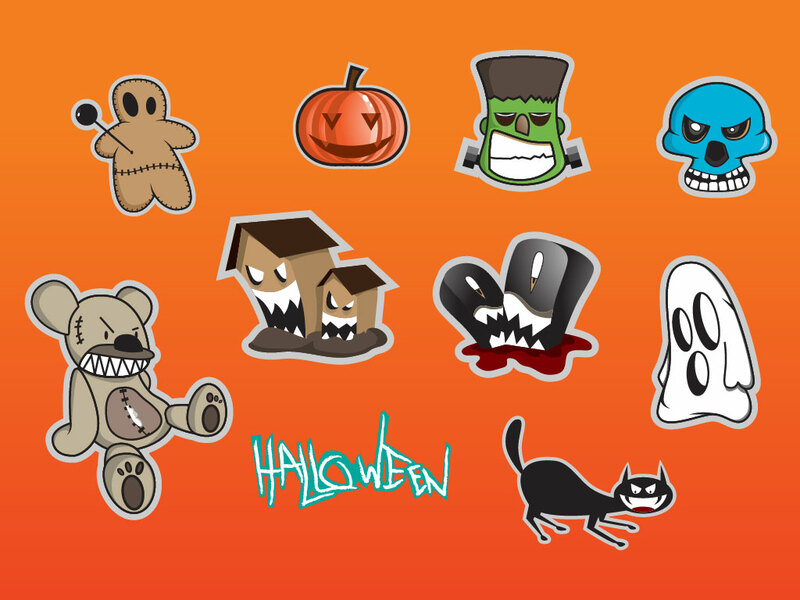 A skull, Frankenstein, Jack O Lantern, Voodoo Doll, ghost haunted house and other cool graphics come in this vector bundle. Great punk or urban style drawings for your use. Tags: Cat, Frankenstein, Ghost, Jack O Lantern, Skull, Tombstone, Voodoo Doll.